"Good location to be and sleep." Have a question for Midpointe Hotel a Rosen Hotel? "Great value, close to universal studios." "Great room and queen beds." "It has a great location right off of International Drive." "Great place, good value for money"
This clean and friendly motor inn serves its purpose, boasting a swimming pool, clean environments and affordable rates. Excellent for getting around to and from the Orange County Convention Center area, this hotel offers perfect locale for business travelers. One of the cheapest in this area, professional travelers will find it hard to turn this hotel down. In the afternoons, after a day of networking the convention areas, be sure and stroll by the hotel pool for a light swim. The rooms are no exception from the rest of the hotel; clean, friendly, and colorful with an art and deco design. Excellent value for the buck, this hotel hits the mark. "It was a clean hotel and provided me with all I was looking..."
Only pets weighing under 25 pounds are allowed at the property. Room was comfortable, hot shower and good WiFi. I think pool was slightly heated and more than adequate . When we booked this hotel it was under the name of Red Roof but now it's changed hands. You can go into the Rosen center hotel next door and get 25% discount on food if you show room key. If you are able bodied its an easy 30 min walk to sea world. Ripleys Believe it or not was also a short walk away as well as Wonderworks. If you attending the OC convention center this is an idea location. I stayed at Midpoint for 3 nights as part of a mini vacation. It was a clean hotel and provided me with all I was looking for. The room was large and had the usual facilities we come to expect and all at a very competitive rate. It was easy to find and conveniently located for International Drive as well as the major highways. Ultimately the question is ‘would I stay there again?’ And the answer is yes, 100%. Close to restaurants easy to find off the highway. Staff was very accommodating friendly services. Clean and cheap and next to convention center. I was quite disappointed -no fault of the staff(they were great). Upon entering, the room was musty, the office chair was raggedy. It was so late that it didn't make sense to even ask to change it. I had already asked to be moved upstairs not knowing there were no elevators. The stair case had a shaky step. Every time you walked on it, you thought you were going to fall through. It was quiet but I expected much better accommodations but I guess you get what you pay for. Will try some place else. After check-in, I was disappointed to learn the hotel no longer offered free shuttle service to Disney World parks, just Universal. This was not mentioned online or when I called just before booking my reservation to confirm that there would be free shuttle service to Disney World parks. Aside from that, our stay was fine. It's always a wait and cluster at the front desk. On this stay they didn't have running water for quite sometime this included the toilet not flushing. The staff consistently said it would be working within minutes however hours went by. This created an angry crowd at the front desk. There's no microwave provided except for 1 all the way in the front of the hotel that doesn't work. Housekeeping will knock on you door at 9am prior to checkout asking if you're checking out when checkout is clearly 11am that's rude!! Just a shame they don't serve complimentary breakfast, even if it's just cereal or some muffins and coffee. Travelling for 29 days through a different Country, a small breakfast to get you going is always helpful and it also safe time stopping somewhere for breakfast especially when trying to avoid traffic/rush hour. Managers don’t know how to speak to guest. Most of them need to leave and hire experience managers. The housekeeping team especially Reuben is the best employees midpointe have. Not forgetting laine front desk she should be one of the managers well mannered and know what she is doing . Our stay was satisfactory. Basic hotel, close to tourist attractions and restaurants. We would stay again. Motel not hotel. All room entrances from outside not inner hallway. Concrete stairs and walkway are stained and dirty. Once in room, not bad. Narrow desk with chair facing TV allowed me to set up my computer and work while watching news. Small fridge, ironing board and iron, tub and toilet area clean, however rug look like it needed cleaned. White sheets used as duvet so no nasty bedspread to deal with. No hotel amenities, registration area only, no lobby. Expected better from “hotel” with Rosen name. After they woke me up. A front desk agent and a Sercurity guard came back knock on my door and ask me if I belong in the room and when did I check in. I believe they check someone else into my room. Which I don’t see how did is even possible. Anyway the next day ask to speak to the manager. They said he was not available so I ask the agent if he could call me when he was available. I never got a call back. The whole experience made me feel unease and uncomfortable. My purpose of coming there was to rest and try and get some sleep. That did not happen. Friendly staff, 24hrs free coffee at the lobby, clean rooms, free wifi internet & walking distance to supermarket, restaurants & convention center. We were attending a convention at the Hilton Orlando and decided to stay at Red Roof Inn. It's cheaper compared to other accomodations in the area & it's just a short minute walk to the venue. Staff was very friendly & accomodating. You can help yourself w/ free hot coffee/choco at the lobby anytime of day. 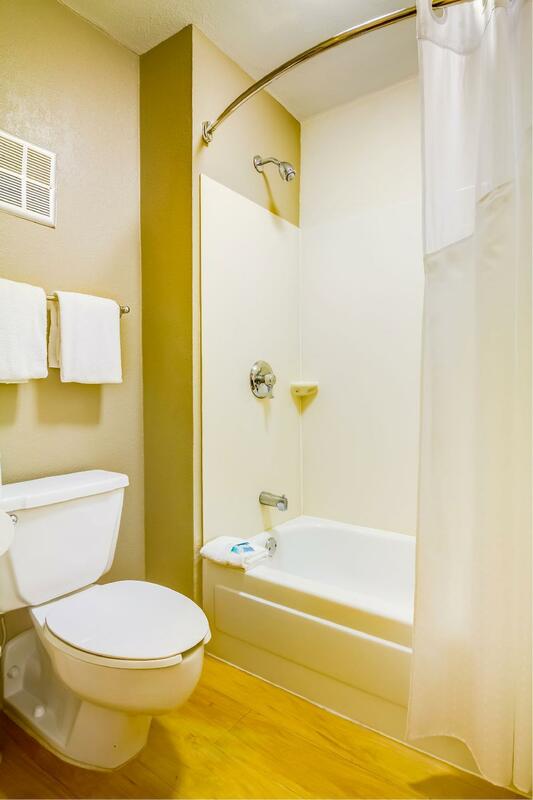 It's got a heated pool & jacuzzi if you want to relax after a long day. Rooms are clean. Beds are comfy. You've got a supermarket, mcdonalds, red lobster & dennys nearby. Overall great value for the money. Will stay here again. The hotel was close to the Convention Center, and I was given a first floor room. Nice desk, and a refrigerator and microwave. There was parking right outside the door. USA Today each morning along with coffee in the lobby. It was right next to the trolley stop which meant you never needed your car. Also, there was a Denny’s and a red Lobster right next door and a new Walgreen’s across the street for food and drink in the room. I used the pool and hot tub and it was fine. The guy at the front desk the last day was great and very helpful. It was great for the price, a real deal.